I think it's gorgeous! It looks very good on you. *Sigh* I wish I knew how to apply makeup. wow..very very beautiful ...you are so talented dear. I like the crease and I really like the liner on you! Hot! Looks really pretty on you! I'm lovin that liner! 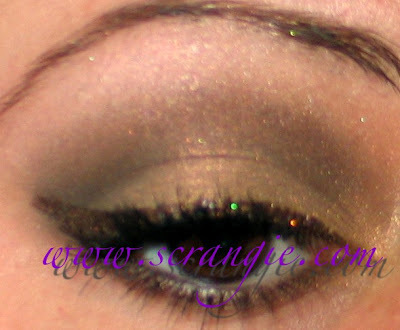 Very pretty brown look. I also rarely wear all brown. When I do I think why haven't I worn this more. There's a certain shade that really makes my brown eyes look so gorgeous. Would be nice if I remembered which one it is. That's what I get from have so much damn makeup.